Rabbi Emily Mathis joined the Tremont Street Shul in 2017 and serves as our Director of Community Development. She was ordained in 2009 by Hebrew College, and also has a Certificate in Organizational Leadership through a joint program of HC and Boston University. Previously, Rabbi Mathis served as rabbi of Temple Beth Shalom in Peabody for seven years; additionally, she has taught children, teens, and adults in Reform, Conservative, and independent congregations in Massachusetts and Rhode Island. Prior to her work in Jewish settings, Rabbi Mathis directed programming at several organizations in Providence in the fields of environmental education, urban gardening, and family literacy. She and her spouse, Hali Diecidue live in West Newton with their three girls (18, 8, and 2) and their labradoodle. Rabbi David Roth serves as the Rabbinic Educator at the Tremont Street Shul, where he leads a twice-monthly Talmud class following our Hashkama (Orthodox) Minyan, a weekly Hebrew class, and other study opportunities; all are open to everyone. David is a Hoosier by birth and education, having studied at Indiana University. He studied Torah in Israel for several years, in particular at Pardes, and was ordained in Jerusalem in 2008. David enjoys teaching every genre of Torah to teens, adults, and rabbinical students. In addition to studying, teaching, and discussing Torah, David enjoys live music (all the way from the Grateful Dead to Jenny Dee and the Deelinquents) and playing pool. David also serves as halakhic advisor to Minyan Tehillah and as rabbinic advisor to the local eruv. He and his wife, Jessi Abrahams, live in Cambridge. Josh Gensler Steinberg, our Administrative Director, has been a member of Tremont Street for 5 years and came on board as our administrator two years ago. 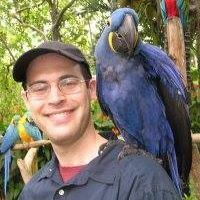 Josh earned a BA in religion and Judaic studies from Dickinson College, a Master of Jewish education from Hebrew College, and a certificate of advanced Jewish studies from the Pardes Institute of Jewish Studies in Jerusalem. Prior to joining the staff of Tremont Street, he taught fifth grade as well as experiential Jewish learning at the Cohen Hillel Academy, and currently also serves as a teacher and tutor at Temple Israel of Boston. 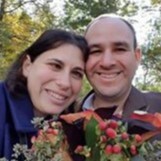 Josh lives in Somerville with his wife, Rabbi Marcie Kamerow.